It’s important to contact an experienced slip and fall lawyer as soon as possible after an injury. The U.S. Centers For Disease Control and Prevention report that slip and fall accidents injure more than one million people annually. And alarmingly, 17,000 slip and fall accidents result in death. These accidents have the potential to cause very serious injuries. Walmart has been the accident location for many slip and fall injuries. Because places like Walmart have slippery floors that do not absorb spilled liquids, it is even more important that the premises be maintained diligently to protect the well-being of customers. A woman filed a lawsuit in 2012 against Walmart when she slipped and fell during a shopping trip at the store. She sued for damages and court costs, claiming that workers had not cleaned up a liquid that had spilled on the floor, endangering her. Falls can cause serious injuries like head injuries, herniated discs, torn cartilage, sprains, broken bones, and other potentially serious injuries. And injuries like these can mean significant medical expenses, surgery, months of therapy, and loss of wages. You should not bear the burden of these costs alone if your injury was caused by someone else’s negligence. A man who slipped and fell at a Walmart in 2011 in Port St. Lucie, Fla., won $1.3 million in a personal injury suit against the store. He slipped on a sign that had fallen off of a display. The injury caused the tendon in his right bicep to tear. Unfortunately this injury resulted in a permanent condition commonly known as “popeye deformity,” a condition where the tendon in the arm protrudes or bulges. He subsequently incurred more than $200,000 in medical bills and has had to deal with lost wages as well. Jurors were sympathetic to his injury, however, and awarded him double what his attorney had asked for. It was determined by the court that Walmart was liable for this injury due to negligence and that Gatorade would not be held responsible. Another 2011 Walmart injury resulted in a woman being awarded $10 million. The woman, a Wyoming truck driver, was making a delivery at a Colorado Walmart and slipped on ice and grease. She had to undergo three spinal surgeries to repair damage from injuries she sustained in the fall. 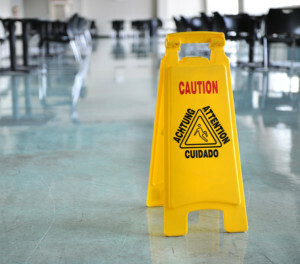 If you or a loved one has experienced a slip and fall injury, contact a personal injury attorney. 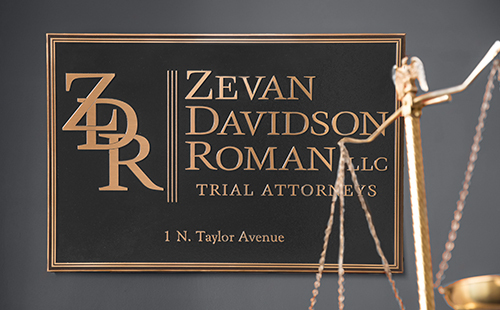 An experienced personal injury attorney can help you understand what your rights are and what options you have in moving forward with your case. You may be entitled to damages in the form of medical expenses, lost wages, pain and suffering, emotional distress, and other various expenses related to your injury. Whether you slip and fall at a large store like Walmart or a smaller business, you may be entitled to damages. Even if your injuries are minor, as a patron of an establishment, they have a responsibility to protect your well-being and handle any unsafe situations. Call Now (314) 588-7200 or schedule your free consultation.